Look at those before and after pictures. Ask yourself: did those men and women achieve such startling results without focusing on their nutrition? Of course not! In order to undertake a physical transformation like that, you must equip yourself with every weapon possible, and that involves not only exercising with the Slim in Six workouts and sleeping properly, but also eating right. Making sure your body is ready each time you press PLAY to give your all. To push yourself, and get the best results! 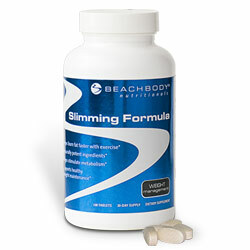 If you want to ensure the best results, then this bundle is for you. It includes a 30 day supply of the Beachbody Slimming Formula, and a 30 day supply of Beachbody's deliciousMeal Replacement Shake. 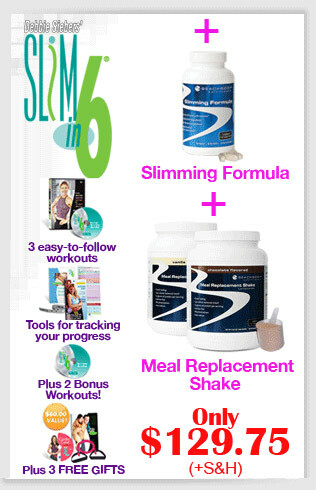 With these supplements you will be able to confidently control your appetite, cleanse your system, and provide your body with all the energy you will need to get the most out of the Slim in 6 program. 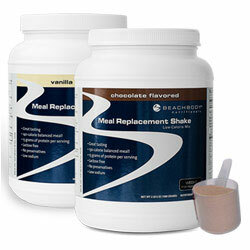 Our Meal Replacement shake is a delicious combination of carbohydrates, protein, essential nutrients and healthy fats. The Meal Replacement Shake sold by Get Moving is specially formulated to provide you with a steady level of energy, deliver the best combination of nutrients, help control your appetite and maximize the results of your workout routines. This healthy meal alternative is the ideal meal in a glass. It’s a perfect 130 calories per serving snack, a healthy alternative for when you are running short on time and don’t want to compromise salutory nutrition.